As everyone in the industry knows, cybersecurity is a hot commodity these days. According to a definition by Techopedia, cybersecurity refers to preventative methods used to protect information from being stolen, compromised, or attacked. 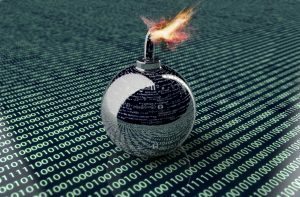 There are any number of ways to protect networks and data storage facilities from cyberattacks, and these methodologies are constantly evolving. Just as the flu virus mutates in reaction to vaccines, so do cybercriminals modify their nefarious behaviors in response to cybersecurity enhancements. Therefore, cybersecurity must constantly evolve, becoming more sophisticated and invasive. However, an often-overlooked area of cybersecurity leaves organizations susceptible to data breaches: hardware end-of-life. 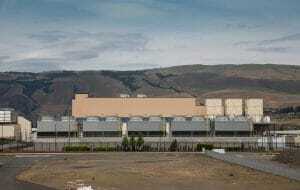 Google Data Center, The Dalles, Oregon. Google data centers utilize SEM data destruction devices. Photo courtesy of Tony Webster. As cloud storage continues to expand at an exponential rate, data centers are popping up all over the globe, and these gargantuan facilities are expected to safeguard the vast amount of data they store. It is now commonplace for data storage facilities to employ a Chief Security Officer (CSO) or a Chief Information Security Officer (CISO) in an effort to stay ahead of hackers and criminals. CSOs and CISOs ensure that data centers are secure and protected by implementing sophisticated products and services including password protection, anti-virus/anti-malware software, software patches, firewalls, two-factor authentication, and encryption methods, all of which come at an extremely high economic cost. According to the 2017 Official Annual Cybercrime Report sponsored by Herjavec Group, it is predicted that global spending on cybersecurity products and services will exceed $1 trillion over the five-year period of 2017 to 2021. Clearly, organizations understand the criticality of a comprehensive data security plan. So why is hardware end-of-life, which is relatively inexpensive in comparison to other cybersecurity spending, not part of this plan? The answer is simple: a devastating breach has not yet occurred through drive recovery. But it’s only a matter of time. 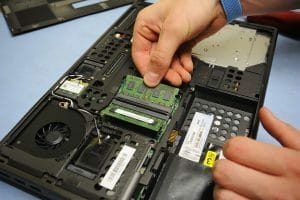 Airmen from the 341st Communications Squadron at Malmstrom Air Force Base replace worn computer parts, destroy used hard drives, and check system functions as part of their daily operations. The US Air Force utilizes SEM IT destroyers. Photo courtesy Malmstrom Air Force Base. While it is well understood that recovering files from failed and erased hard drives is relatively simple, much of the evidence in hard drive recovery is anecdotal. Students from various higher learning institutions including MIT and University of Vancouver have conducted studies that found drives sold on eBay to contain sensitive data. Criminals in Africa are well known to salvage old drives from landfills and mine the data for identity theft. 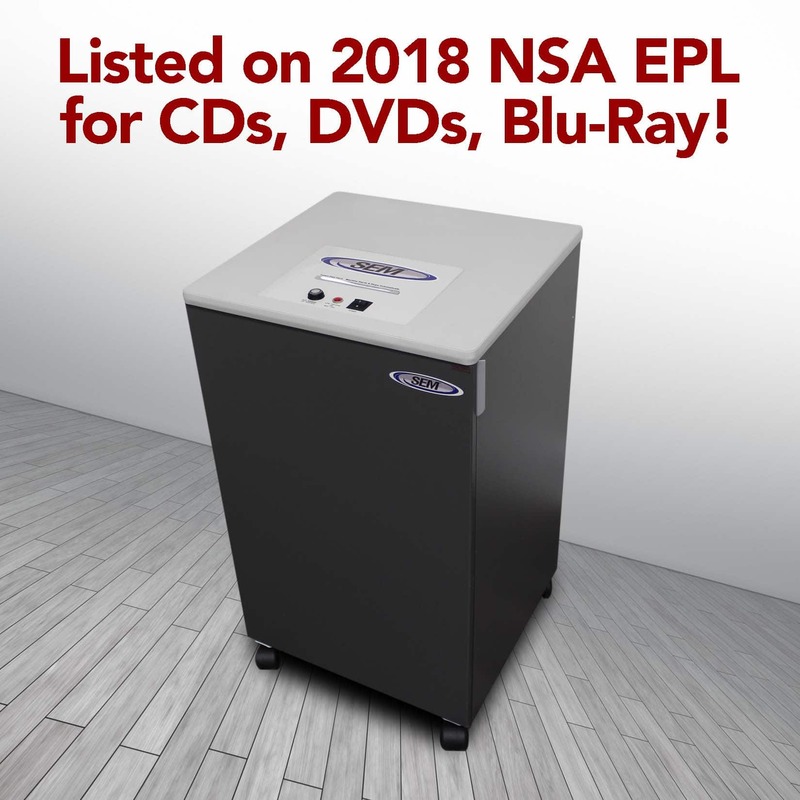 Even NAID has conducted a study that found sensitive information on eBay drives. Even more alarming is Idaho Power Company learning that over one third of the drives they had contracted to be destroyed and recycled actually ended up on eBay – along with the sensitive, confidential company and employee data they contained. And there are myriad similar studies and evidence of data recovery from failed or erased drives. So where is the public outrage and demand for more secure drive disposal? The reality is that there has not yet been a truly significant breach as a result of hardware end-of-life recovery. The NSA has long understood that hardware end-of-life leaves sensitive information vulnerable, and they have strict regulations in place for dealing with information disposal, from paper to optical media to hard drives. But many organizations seem to think that erasure, overwriting, or a quick drill to the drive is “good enough” — dangerous thinking that could not be more erroneous. 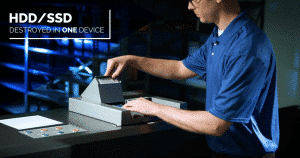 SEM’s line of hard drive destroyers eliminate data and meet regulatory requirements.